Last February, during one of Manor College’s Ukrainian Dialogue Sessions, Marcy Kaptur, Ohio Congresswoman, challenged every person in the audience to have an impact on the issues currently taking place in Ukraine. Norma Hall, former Rotaract Advisor, addressed this challenge with the Rotaract Club and it became the main focus of the 2016-2017 academic year. Thanks to social media, the Manor Rotaract Club received contact information for Svitlana Televiak Kutia, Kyiv Rotaract Past- President who was starting this initiative over in Ukraine. The club also received help from Arthur Pogorelov, Kyiv Rotary CLub President and Olena Pododiashcha. During the summer of 2016, the club worked to solicit donations from local hospitals, instead of trying to raise the funds. Steve Vahey of the Glenside Rotary Club helped the college receive an Allstate Grant for the project with Wyncote Academy Interact Club as a partner. Saint Basil Academic also provided assistance through their bake sale to raise more money. The Alpha Beta Gamma Honor Society of Manor College held a Technology Workshop in the Spring, which called for donations for the project. Holy Redeemer Hospital graciously donated two Philips Heart Monitors. Jefferson Hospital donated between $75,000 and $100,000 in surgical instruments. Glenside Rotarian Barb Nye donated several boxes of medical supplies. 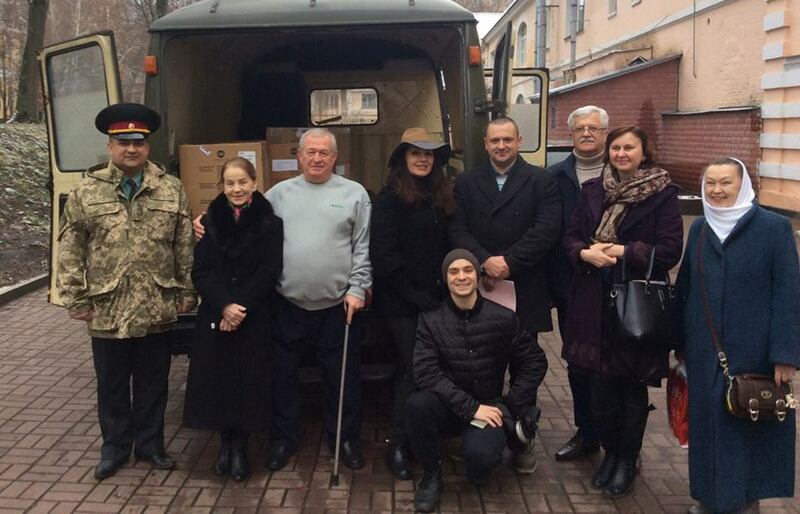 On November 28, the items were shipped to the Kiev Military Hospital. The Rotaract Club would like to thank everyone who helped in this initiative, especially Norma Hall who arranged everything from start to finish.